ST. GEORGE – Booms and rumblings were again experienced across parts of Washington County throughout the day and night, but what is the source this time? Is it mine blasting? Is the Utah Bomb Squad Task Force back for another round of training? Or could it be something out at the Air Force’s Nevada Test and Training Site? Starting Monday and lasting into the middle of December, personnel out of Nellis Air Force Base will be engaged in U.S. Air Force’s Weapons School, said Sgt. Darlene Seltmann, of Nellis AFB Public Relations. “There is going to be quite an increase in activity,” Seltmann said, adding that the Weapons School operations are just as extensive as Red Flag operations are. In the past, increases in military activity out of Nellis — particularly during Red Flag operations — has tended to account for loud booms and shaking experienced by people in the region. Weapons School takes place once every six months, Seltmann said. The U.S. Air Force Weapons School trains tactical experts and leaders of Airmen skilled in the art of integrated battle-space dominance across the land, air, space and cyber domains. Every six months, the school graduates approximately 100 Weapons Officers and enlisted specialists who are tactical system experts, weapons instructors and leaders of Airmen. Weapons Officers serve as advisors to military leaders at all levels, both those in uniform or civilian government positions. Weapons Officers are the instructors of the Air Force’s instructors and the service’s institutional reservoir of tactical and operational knowledge. Taking the mantra, “humble, approachable and credible” as their creed, they form a fraternity of trusted advisors and problem-solvers that leads the force and enables it to integrate its combat power seamlessly alongside those of other military services. In addition, the Weapons School provides academic and advisory support to numerous units, enhancing air combat training for thousands of Airmen from the Air Force, Department of Defense and U.S. allied services each year. The Weapons School cadre also authors tactical doctrine and conducts tactics validation. Actively collecting tactical knowledge and lessons learned from deployed units, evaluating solutions in exercises, and formally preparing them for application across the force. 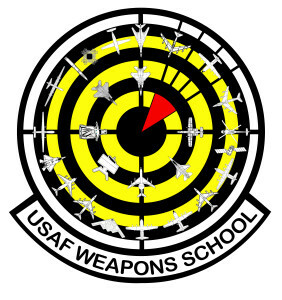 The Weapons School provides a controlled learning environment and knowledge trust for best practices in air, space and cyber combat techniques. Members of the Weapons School cadre have served as advisors to the other U.S. and allied military services around the world. The school also authors the Weapons Review, the Air Force’s premier professional tactics publication. 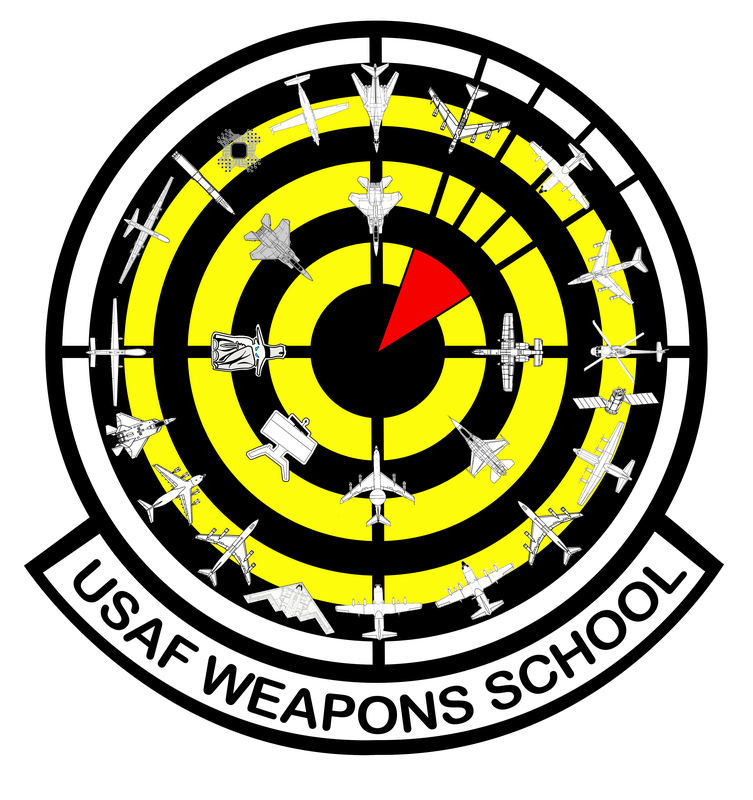 The Weapons School consists of 18 Weapons Squadrons at eight locations across the country. Eleven squadrons are based at Nellis Air Force Base, including the 8 WPS (EC-130H/RC-135/E-8C/E-3C/CRC/Advanced Weapons Director), 16 WPS (F-16/F-35A), 17 WPS (F-15E), 19 WPS (Intelligence), 26 WPS (MQ-9), 34 WPS (HH-60G), 57 WPSS (Operational Support), 66 WPS (A-10/Joint terminal attack controller), 315 WPS (Intercontinental ballistic missile), 328 WPS (Space/Cyber), and 433 WPS (F-15C/F-22). The seven geographically separated units include the 14 WPS at Hurlburt Field, Florida (AC-130/MC-130/U-28); 29 WPS at Little Rock AFB, Arkansas (C-130); 57 WPS at Joint Base McGuire-Dix-Lakehurst, New Jersey (C-17); 77 WPS at Dyess AFB, Texas (B-1); 325 WPS at Whiteman AFB, Missouri (B-2); 340 WPS at Barksdale AFB, Louisiana (B-52); and the 509 WPS at Fairchild AFB, Washington (KC-135). Really?, May be the cause?? What the hell else could it be? Gas. Some poor fool ate at a Mexican restaurant. . .
Just flyguys having fun blowing up things up. We hear them all the time up here in Dammeron. I especially like the 2000 lb ones; makes the house creak.